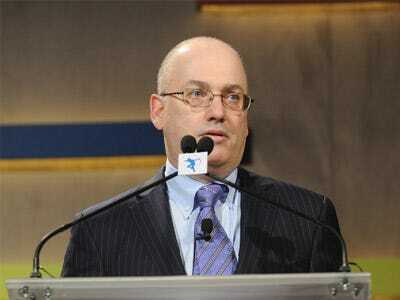 Billionaire hedge fund manager Steve Cohen, the founder of $14 billion SAC Capital, earned more than twice as much in 2012 than he did in 2011.Forbes has just released its 40 highest earning hedge fund managers list. Overall, Cohen ranked No. 3 on the magazine’s list. For 2012, Cohen took home an estimated $1.3 billion compared to $600 million in 2011, the list shows. SAC Capital had returns of 25% last year, according to Forbes. What’s more is about 40% of SAC’s assets under management come from outside investors with the rest belonging to Cohen and SAC employees, according to the New York Times. Cohen has attracted a lot of unwanted attention lately because he has been identified in several media reports as “Portfolio Manager A” in the latest insider trading case against former CR Intrinsic (a subsidiary of SAC) portfolio manager Mathew Martoma. It’s known that Cohen is the ultimate target of the Securities and Exchange Commission and the Department of Justice. Still, he has not been charged with any wrongdoing and he may never be charged.